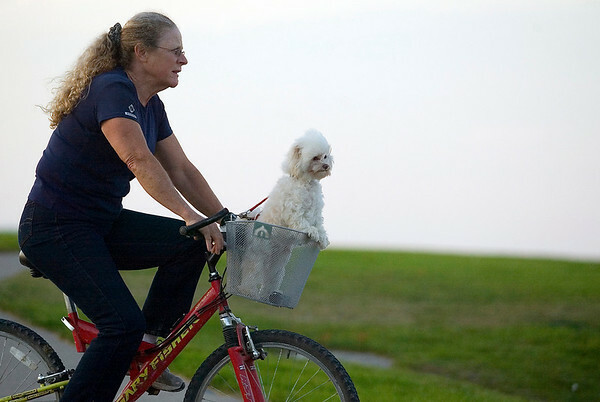 Nan Lynch rides through the Open Space with her Pomeranian-Maltese Dusty on Monday evening. Lynch was riding with her husband Albert and their other dog Scout. Nan said riding in the basket was easier for Dusty than running alongside the bikes, like Scout. "He doesn't get his feet dirty," she said.